B.B. King’s daughters believe their father was poisoned. 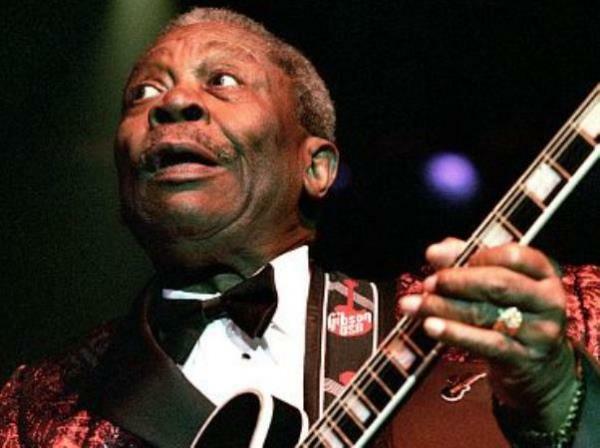 The blues legend died in his sleep at the age of 89 on May 14 under hospice care at his home in Las Vegas, Nevada, but no family members were by his side when he passed on. Although his cause of death has been attributed to a series of small strokes caused by The Thrill Is Gone singer’s Type 2 diabetes disease, his daughters Patty King and Karen Williams submitted affidavits alleging their dad was killed. "I believe my father was poisoned and that he was administered foreign substances. I believe my father was murdered," Patty and Karen noted in identically worded areas of the legal documents, which were provided to The Associated Press by the siblings’ lawyer Larissa Drohobyczer. Patty claimed in her affidavit she saw B.B.’s personal assistant Myron Johnson put drops of some unknown substance on her father’s tongue every night for several months before he passed. And she insisted B.B.’s business manager of 39 years, LaVerne Toney, never identified what Myron allegedly administered. The family also claims LaVerne was instrumental in preventing relatives from seeing B.B. before he died. Lt. Ray Steiber of the Las Vegas Police Department’s homicide unit confirmed officials are investigating the case, but he declined to provide any further details on the matter. LaVerne served as power-of-attorney over B.B.’s affairs before he died. She was also named as the executor of B.B.’s estate, which is worth tens of millions of dollars, in his will. B.B. had fathered 15 biological and adopted children while he was alive. And attorney Drohobyczer claims she represents at least nine of his offspring in their fight to strip LaVerne of her power as executor of his estate. "The family is sticking together ... to oust Ms. Toney based on her illegal conduct, conflicts of interest and self-dealing," the lawyer said, accusing LaVerne of hastening death through "misconduct, or by failing to properly attend to his medical needs”. Attorney Brent Bryson, who represents B.B.’s estate, claims the murder accusations are completely absurd. "I hope they have a factual basis that they can demonstrate for their defamatory and libelous allegations," the lawyer noted. An autopsy was performed on B.B. last Sunday May 24 and toxicology test results from the examination are expected to be processed within eight weeks. B.B.’s funeral takes place in his hometown of Indianola, Mississippi on Saturday May 30.